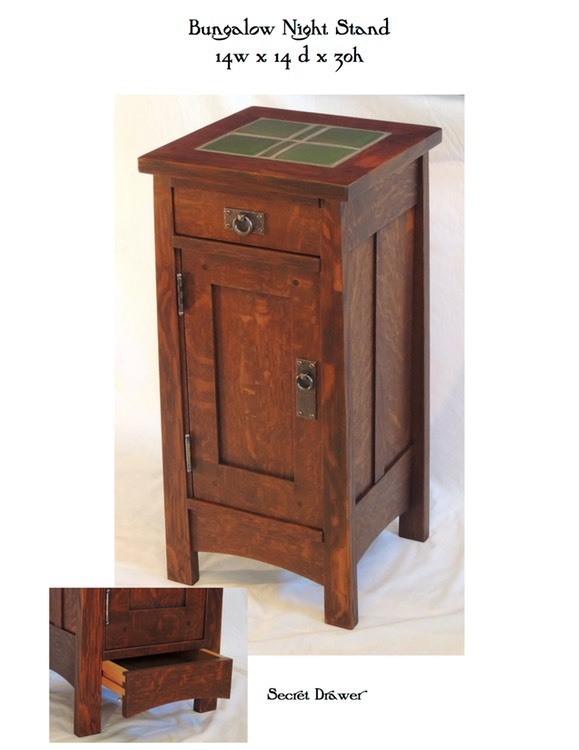 The perfect night stand for the limited space in many a bungalow. This one was designed making great use of the client’s leftover fireplace tile. The secret drawer incorporated into the bottom stretcher is the perfect spot for keeping treasures safely hidden.